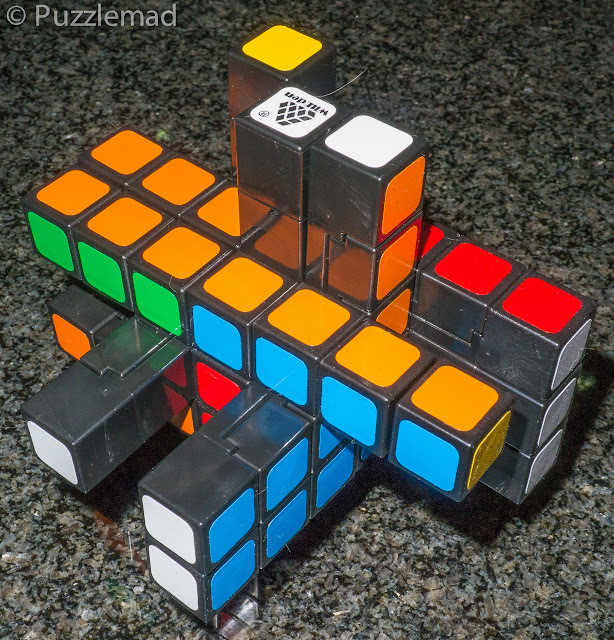 Puzzlemad New Additions: You just cannot have too many cuboids! You just cannot have too many cuboids! 3x3x6 but not a simple cuboid! 3x3x7 - yep! It's simple! 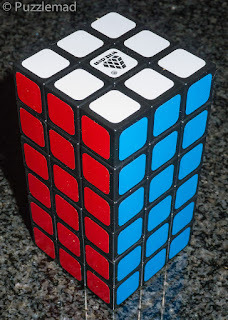 When Witeden announced a couple of new cuboids, I couldn't possibly resist buying them! Over several years now I have blogged how much I adore twisty puzzles. 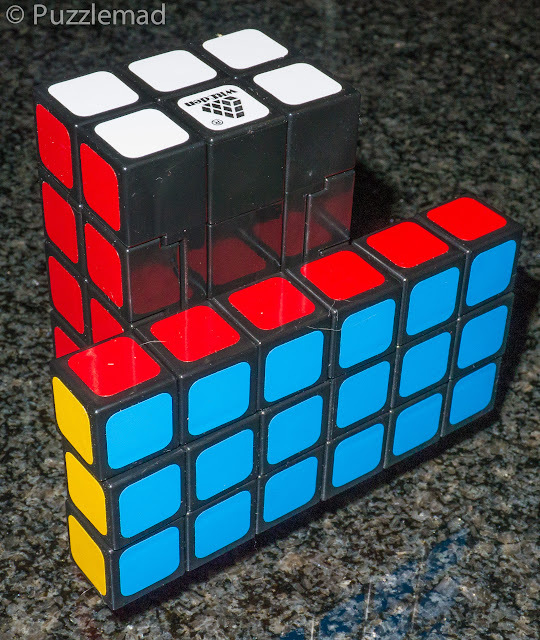 It's not about speed cubing as that is for teenage boys who have plenty of time to practice doing the same thing over and over and over again! I love to use the techniques I have learned to solve new variants of twisty puzzles and I particularly love the cuboids - I even wrote an article on one approach to classifying the cuboids. I immediately contacted my friend Martin to ask when he will be getting these new puzzles in stock in his UK based Twisty store and he said they would be arriving very soon. A week later they were in stock here and here and a little money moved across the internet. Then I turned my attention to the 3x3x6 which is only described as "Proportional". Why did they miss out the shape-shifting? I had a fiddle and showed that it is definitely shape-shifting but also has a very special extra property.....it is offset. Yes! 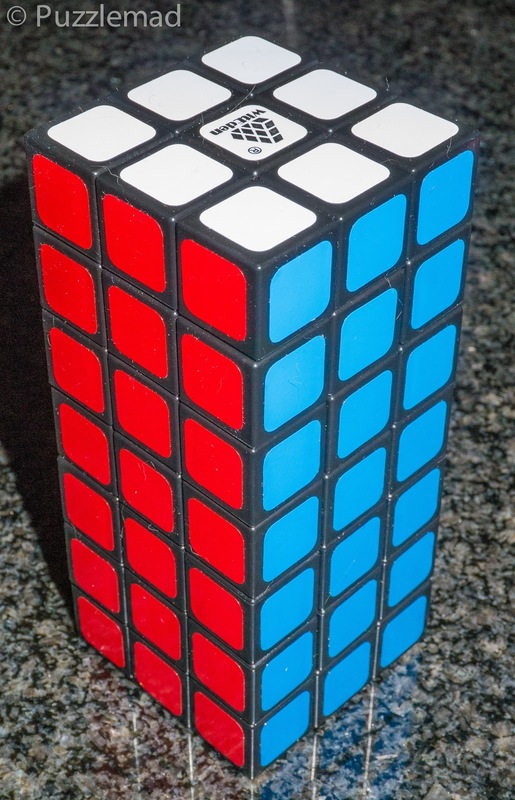 It is an icube (we have seen these before with the 3x3x5 series having a 3x3x4 icube). As you can see below the slice turns about an axis that is not in the centre of the long faces. This will make for a very interesting challenge. 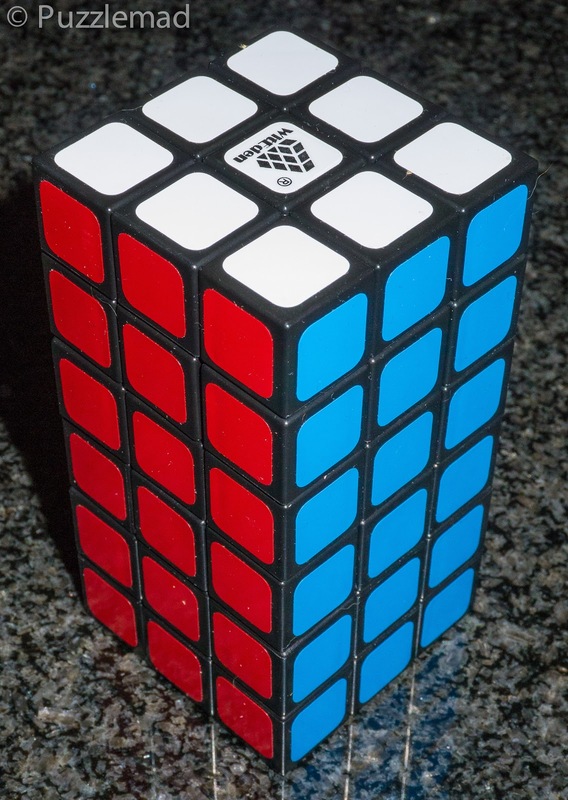 I have solved other iCubes including the 4x4x5 iCube made by the Crazybad Cuber and the amazing 5x5x4 iCube made by Gr_cubed - I discussed those puzzles here. I even solved an even more challenging 5x6x7 iCube extreme from Gr_cubed which reached the astounding heights of number 3 in my favourite puzzles of 2014. I am sure the 3x3x6 will be much easier but I have absolutely no recollection how to go about them!! This will be fun!